1. Stay for 59 days. As of this writing (1/2012), a free, 21-day visa is granted to Americans upon arrival. For the sum of 3,100 pesos ($70 USD), I was able to add another 38 days to the total. (You have the old, western white men flocking here to obtain obedient wives who will cook, clean, and have low expectations regarding equality to thank for the hefty sum.) 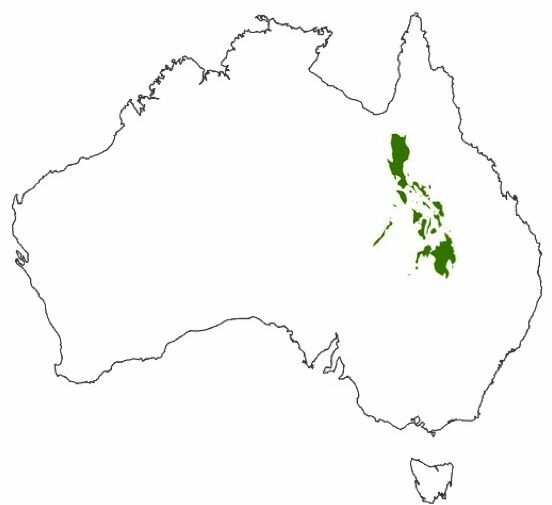 The Philippines is very spread out. If you try to fit the hot spots into three weeks, you’ll spend most your time on boats and buses. 2. Slow travel is a must. If you must spend only 21 days here, don’t try to see everything. What floats your boat? Diving? Trekking? Beach life? Mountains? History? Partying? Pick two areas and explore those. 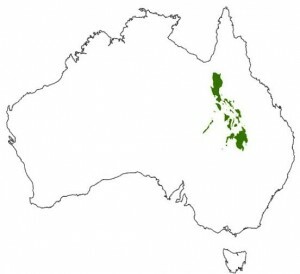 Example, a dive enthusiast should head to either Palawan or the Visayas. Trekking and mountains? Go to the Mountain Province six hours north of Manila. History? Manila is rich. Partying? Boracay. But please. I beg you, do not spend seven of your 21 days in transit. Flying into/out of the budget airport, called Manila-Clark but located NOWHERE NEAR MANILA may not be worth it. When you factor in the time and money you’ll spend on buses to/from Angeles (two hours from Manila), not to mention the nasty, overpriced budget hotel room you’ll probably stay in upon departure, you might as well be in Manila. The very first photo that comes up if you search “Manila Angeles” on Google. 4. Friends are good for your budget. 5. Consider that English is widely spoken in the Philippines. They play English-language movies at the cinema. Menus are in English. School children converse with each other in English. 90% of the people who cross your path will speak at least rudimentary English. If this country is one of many world stops, it may provide you with a sweet respite from the world of language barriers. Come here after China, and you’ll probably sing its praises. Arrive after Australia, and perhaps it will feel like an unglamorous version of the west. Emphasis on “passable”, but that’s all you need! 6. Be prepared to be the only tourist. For all the English spoken and the omnipresence of western chains, you’ll be hard pressed to see many other (non-Asian) tourists – especially away from stereotypical spots. In my book, this is fantastic and makes cultural immersion much easier to come by. 7. Keep your cuisine expectations low. 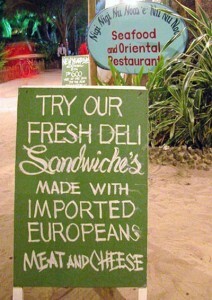 Food in the Philippines is infamously rumored to elicit unenthusiastic responses. (If you want stories, read this, this, and this.) If savory meals are important to you, budget about 120-200 pesos per meal ($3-5 USD). This will buy you all the pasta, pizza, and jazzed up dishes you desire. Or bring a stash of Clif bars or other meal substitutes acceptable to you. If your culinary standards are flexible, rice and mystery concoctions that usually aren’t too bad can be had for about P60 ($1.50 USD) each. 8. Hydrate like a local! If you’re joining those who don’t drink the tap water, there are a few pennies to be pinched here. 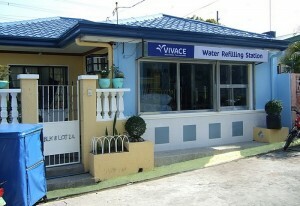 Big volume containers of water (6 to 10 liters, 1.5- 2.5 gallons) can be had for about $2 USD (80-90 pesos). Conversely, just like anyplace else, a 500mL/16 oz water is usually $.50-.75 (20-30 pesos) It’s also possible to refill containers at water distilling stations. Almost every town or neighborhood has one. A 1 liter bottle was about 3 pesos. Like to have your own space on buses? Sit at the back. Public transport fills from the entry point here, as you’ll quickly discover when squat-crawling your way past twenty passengers to the only open seat on a jeepney. On a long bus ride, people will be hopping on and off the bus along the way. If you sit near the door, you’ll discover they’d rather plop down next to you than walk all the way to an empty seat. 10. Ask the bus to drop you somewhere more convenient. Most transport options will let you get pretty specific about where you want to get off. If you’re rolling back into Manila and your destination involves the MRT or LRT, ask to get off at an entry point. Not sure? Consult your fellow passengers. They’ll be glad to point you in the right direction. During rush hour it sure beats waiting in traffic for two hours to get from one side of the city to the other. 11. Ask to ride on top. 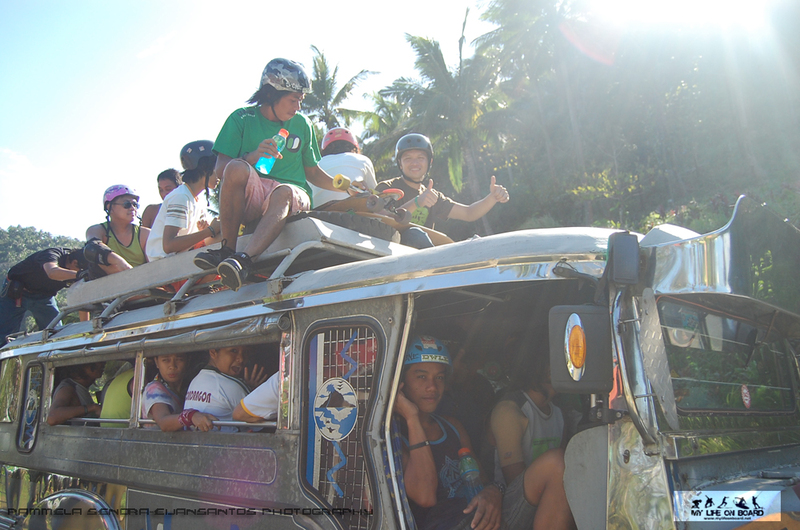 If you’re in a scenic, cool part of the county, catching the view from the roof of your jeepney is a pretty awesome experience. Plus, the windows are so low inside that you won’t catch ANY view if you’re over five foot (150 centimeters). Not many westerners do this, so expect that you’ll also be providing a reason to grin, clap, and giggle to those in villages and settlements that you pass through. Just don’t allow a comment from your traveling companion to break your focus while you’re jumping off at your destination, or this will happen. Riding on top of the jeepney. Caveat – I’ll take mountains over the beach any day, so take my recommendation with that in mind. But I did fall in love with this little town! Burst an eardrum while night diving. Get too close to corruption’s cross-hairs. Expect to successfully cut it close at the airport. Smash a telescoping camera lens while trying to take timed photos on a karaoke bus. Cross between remote islands in the wake of a typhoon. Get distracted when jumping from the roof of a transit vehicle and bust an ankle. Make local friends, even if they pack heat. Learn how to use the toilet scoop, courtesy of a local! Stay in a town with only a few hours of electricity a day. Sacrificing a chicken to gain the protection of the gods. Sharing a hotel room with a random stranger. Sacrificing a pig at Christmas. Eating an animal you thought you’d never eat. I hope you enjoy the Philippines and all the wonderful Filipinos! Check out the trip planning page for more tips to better your trip.